Two weeks ago, my fourteen-year-old daughter summed up her day at school: “I finished the science TAKS [The Texas assessment of knowledge and skill] in about an hour and then slept for five hours.” On this particular day a 60-question single subject test was the only activity for every 8th grader in the state. Sleeping on TAKS days, it turns out, is quite common. In fact, it’s one of the three activities permitted after you’ve turned in your test. The other two are reading and sitting quietly. Writing is not permitted; too scratchy. Even if you thought that these tests were important to improving the quality of our kid’s education, you can’t really believe that the sensory deprivation created by a mausoleum-like testing environment helps today’s tech distracted kids perform well on tests. Nevertheless, teacher evaluations, administrator pay, and school rankings as well as the desirability and property tax base of the neighborhood will be determined to a large degree by the outcome of the TAKS tests. What assumptions about improving education underlie the kind of high stakes testing in public schools that have become the hallmark of both George Bush’s No Child Left Behind legislation, and the Obama administration’s Race to the Top? We hear testing being defended as the best way to hold teachers and administrators accountable. To be sure, there’s plenty of accounting going on: not much learning though. Perhaps it’s time to let go of the paradigm that treats five year olds like raw material entering a manufacturing process designed to produce 18 year olds ready to become productive, independent citizens. Consider the typical production process. If you want to know whether the processes at the potato chip plant have been successful, there are a greasy handful of quantitative measures that will give you the answer. Measures that would answer questions like, how many chips did we produce and did they all taste the way they’re supposed to. If you want to know whether the school district has been successful and you apply a production line paradigm to the process of educating kids, naturally you’ll focus on a handful of quantitative measures like test scores and drop out rates. If you’re not satisfied with a bag of potato chips, you tighten up the controls at each step in the process to ensure that the unacceptable chip doesn’t make it into the bag. If you’re an executive of the company that owns the potato chip plant, you will simply apply rewards and punishments to plant managers, holding them accountable for ferreting out the problem and fixing it. Those who consciously or unconsciously pattern their thinking about improving the quality of education on the methodologies of improving the quality of a production line reinforce a paradigm that is currently producing mediocre outcomes. Fifty three percent of American adults, according to a 2004 Gallup survey are satisfied with public K-12 education in the United Sates. If barely over half of the customers who bought a bag of potato chips were satisfied with their purchase, potatoes wouldn’t be the only things cut at the plant. For an enlightening tour of the history and implications of conceptualizing education as a production process, check out Sir Ken Robinson’s presentation called “Changing Education Paradigms.” As a student of organizational systems, I’d like to point out that the so-called “manufacturing paradigm” doesn’t actually work for potato chip factories either, but that’s a post for another time. Those with responsibility for reforming education have begun to worry about whether our schools are adequately preparing future generations to innovate and contribute productively to society. Consistent with an education system modeled on a manufacturing paradigm, policy makers have called for greater accountability and tougher standards. If we want to improve the finished product of a public K-12 education, the argument goes, we need to test the students at each step in the process ensuring that those who do not pass the test do not continue to the next step in the process and those accountable for preparing students to pass the tests suffer appropriate consequences if the finished product does not meet the standard. But that accountability will achieve nothing, or even be counter-productive, if the measure’s we’re taking and the standards we use aren’t helpful. 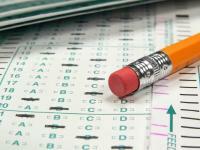 The goal is not to eliminate standardized testing. The goal is to decouple education success from high test scores while lowering the stakes for low test scores so that fear is no longer the prime motivation driving teacher and administrator behavior. I’m waiting for the day that an earnest, intelligent, hard working eighteen year old sues the school district for breach of social contract; she can neither succeed in college nor in the workforce and wants her family’s tax money back. By the way, I’m not opposed to naps.